Cyber Law is the term which deals with the issues related to the internet, communication technology, technological & electronic elements including hardware, software, computer & information systems. Cyber law is made to handle the cases of cyber crime. Cyber crimes are the illegal activities committed on the internet. Cyber lawyers handles cases of cyber crimes against persons, property and government. The work of a Cyber Lawyer is to prepare, examine and advocate a case for the client involved in a cyber crime case. It is also a very important aspect of legal training & corporate management. Most popular cyber crime is hacking person’s personal accounts, cyber terrorism and spread of virus. The scope of cyber law is huge now a days . Due to large scale use of internet technology the cyber space has also become a place to conduct malicious activities, so to deal with crimes related to cyber world the lawyers must possess the knowledge of cyber world and this lead to a new field of law i.e. cyber law. Cyber crimes can engage in criminal actions such as fraud, defamation, forgery, theft, and mischief. Candidates can specialize in cyber law at postgraduate level. Minimum Education needed for admission to the postgraduate courses in law is LLB degree. After the completion of higher secondary education, you can take admission in bachelor’s programme of law. Once you have completed your graduation with LLB, you are eligible to pursue LLM course in cyber law. Many short term and long term courses are available offline and online in cyber law. Students who have qualified 10+2 examination from a recognized board can opt for bachelor degree in law & then after, they can join the master degree programme in Cyber law in any Indian & Foreign Universities. National Law University (NLUs) conducts the entrance examination known as CLAT 2018 for providing admission to its bachelor’s and master’s courses of law. Admission to the law courses is also provided through many other entrance exams such as AILET 2018 for admission to NLU Delhi. Today, cyber law is one the newest & most successful career in law. There are many career opportunities in the field of Law. This has emerged as one of the demanding career field in the recent times. Cyber law students are great in demand & paid handsome salary. 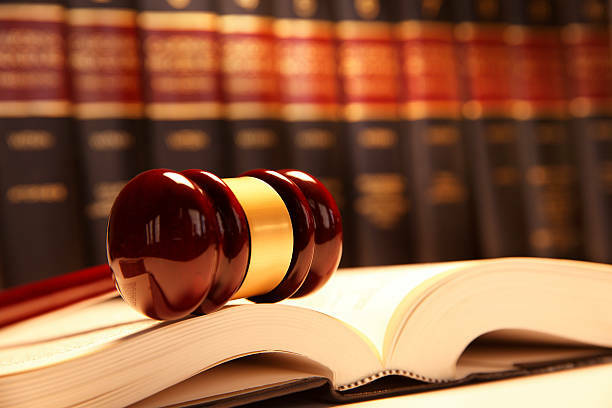 Various organizations hire a cyber lawyer for their expert legal services & advice. Cyber Lawyer can either be working with a law agency or they can be self-employed. As a Cyber Lawyer or Cyber law Expert, there are lots of opportunities apart from the legal firms & court rooms. After completing the Cyber law programme, you can also get offers from police departments, IT companies, corporate houses, public & private organizations, lecturer at Universities & many more. Become a cyber consultant in IT firms or police department. Cyber law reduces or prevents the damage from cyber criminal activities related to the use of the internet, email, computers, cell phones, World Wide Web (www), hardware & software by protecting privacy, information access, communications & intellectual property (IP). As cyber law is a new profession, there are several challenges undoubtedly. There is a need of lots of potential for growth in this field. Cyber Lawyers salary is vary depends upon the given factors, i.e. qualification of the students, work experience, their licensure, whether they work in public & private sector, the agency which recruits them, whether they work with a law firm or self-employed, etc. In India, professional cyber lawyers earns an average pay of 6 lacs per year. As a fresher, you will get the salary of around 15,000 – 20,000 per year. If you are working with reputed law firms, the you will get the demanding remuneration. Remuneration in this field depends upon one’s experience and skills.